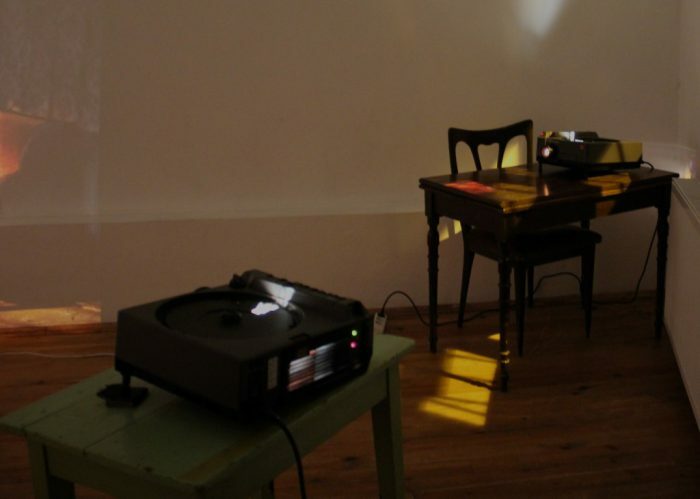 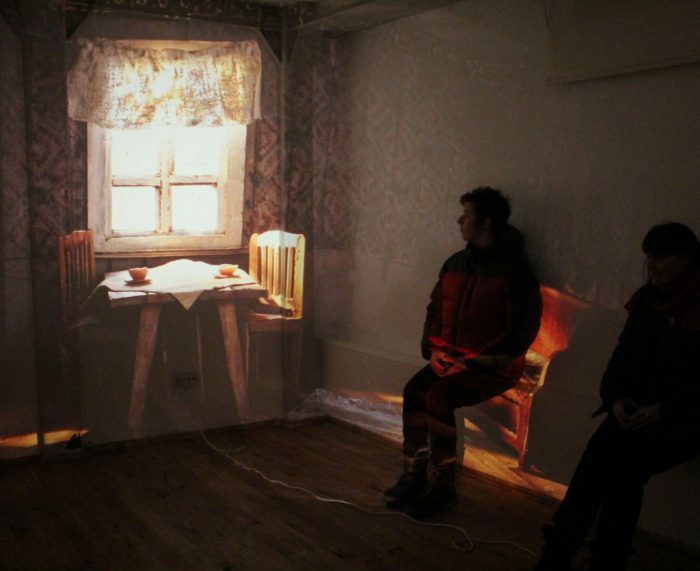 Solo Show, A Few Seconds Every Day, maumau Gallery, Istanbul. 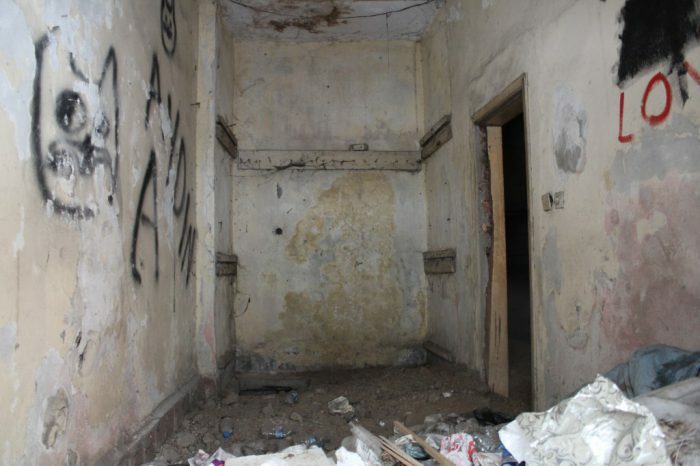 Turkey, 2013. 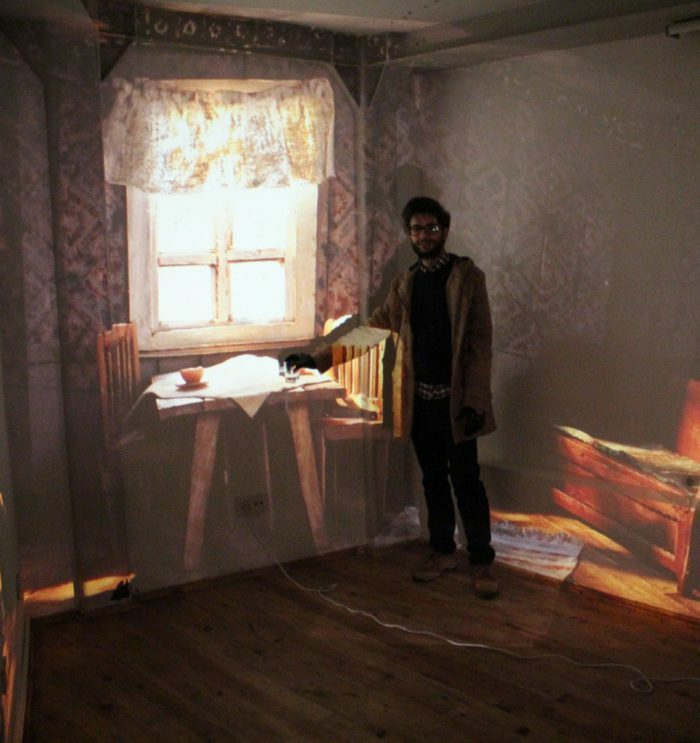 Two-channeled slide projection on wall. 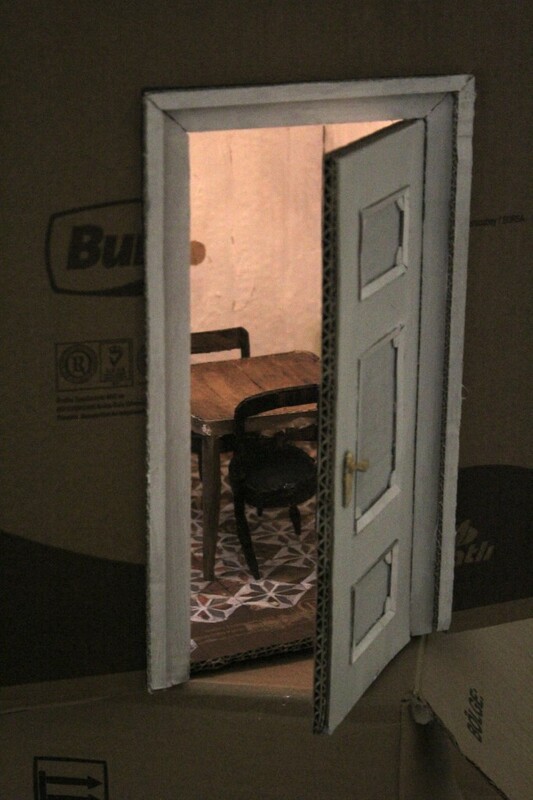 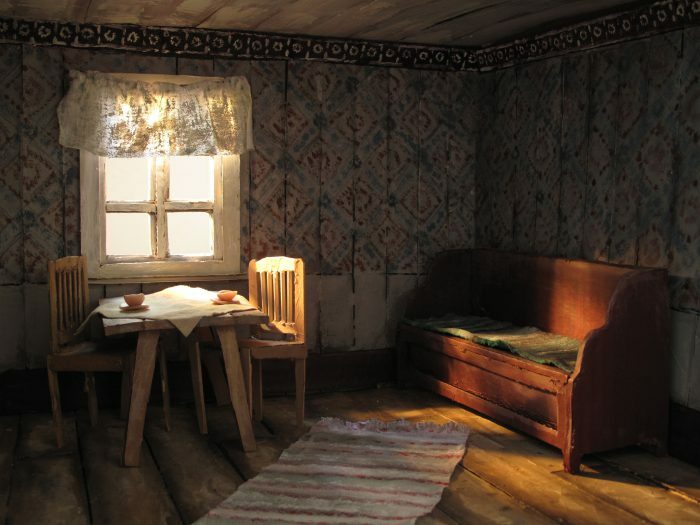 Digital photographs converted into slide taken inside miniature room built from painted cardboard, textile, wood. 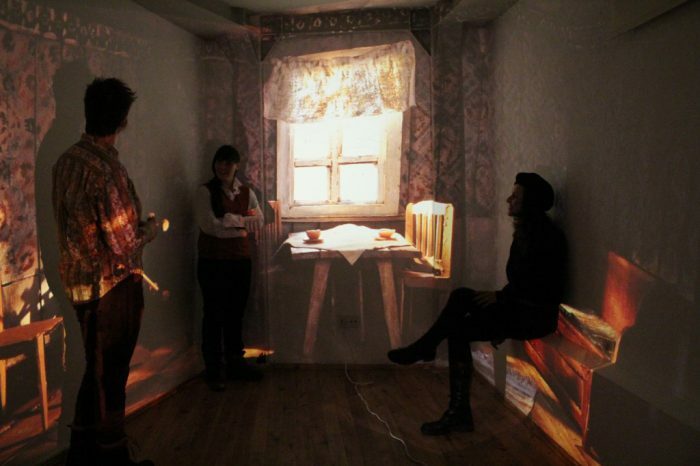 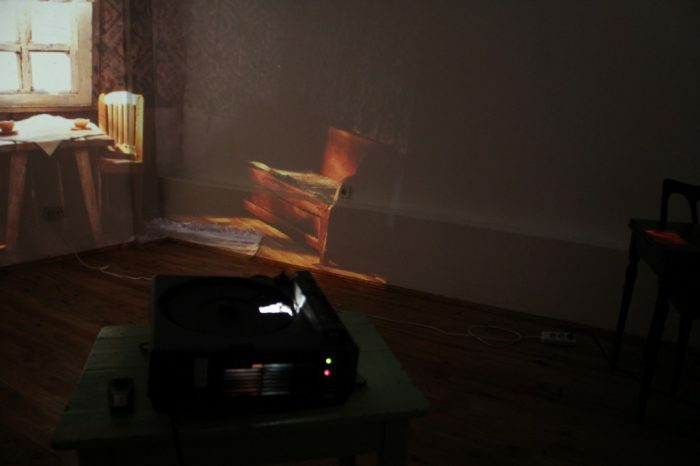 Two-channeled slide projection on wall and floor. 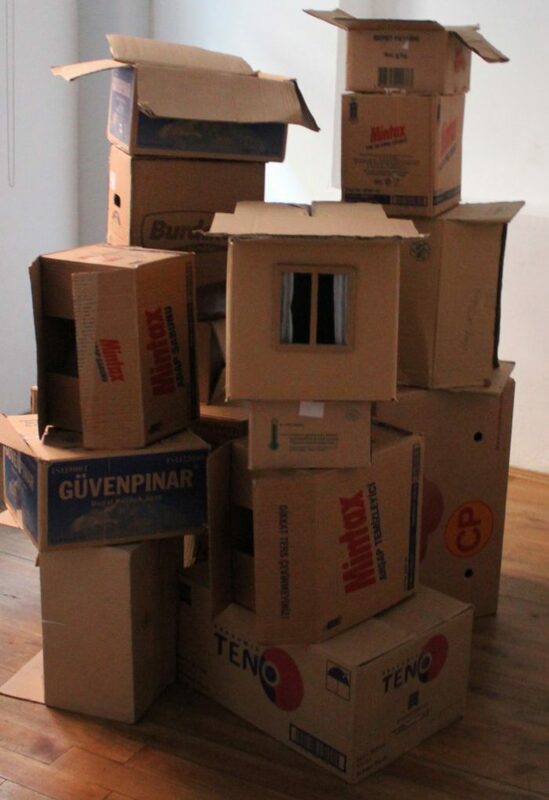 Installation cardboard boxes. 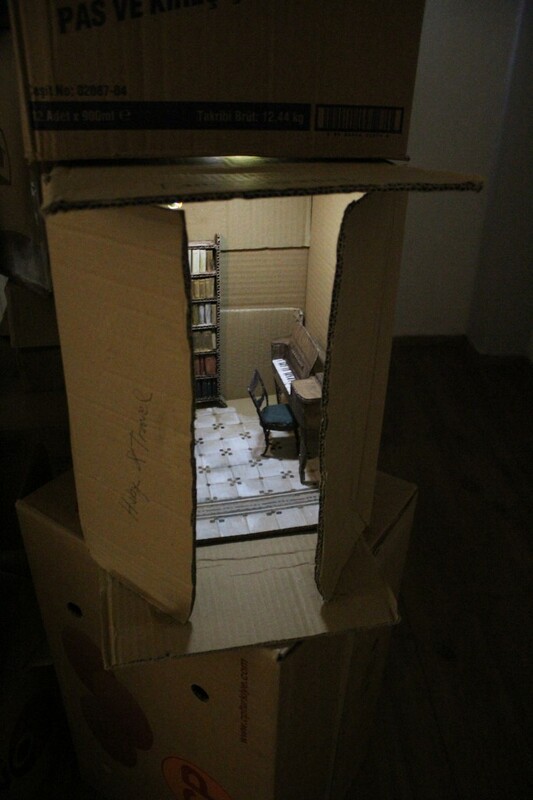 Miniature rooms installed inside. 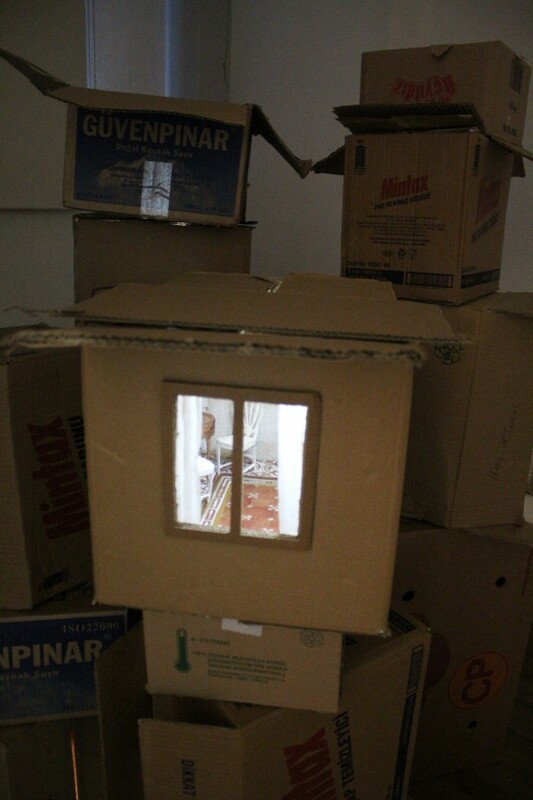 One channeled slide projection of room built in cardboard, plastic. 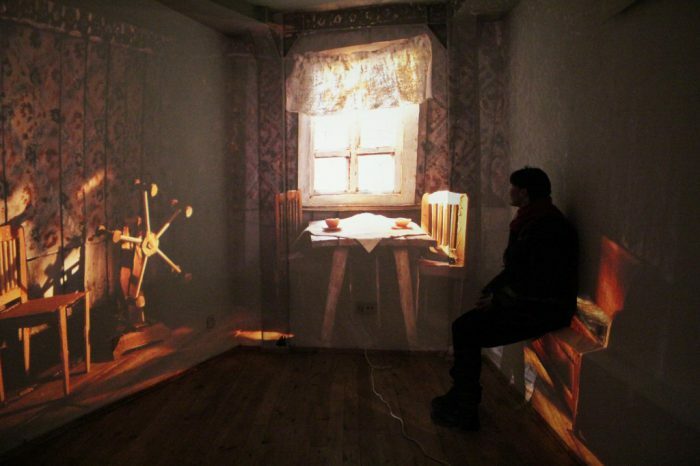 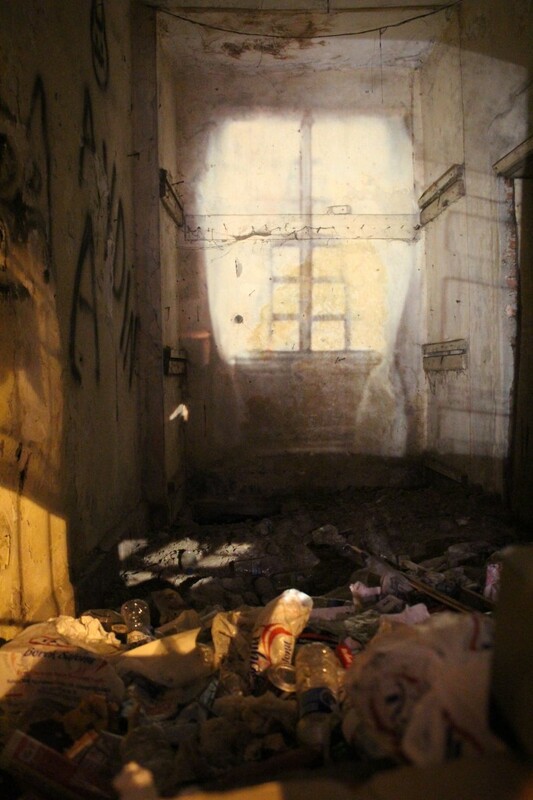 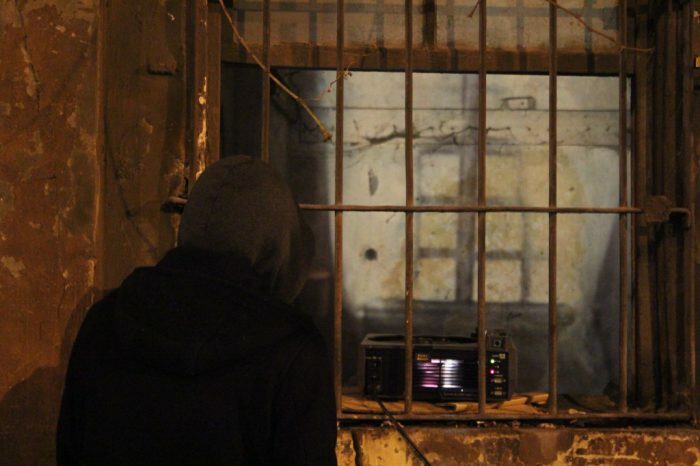 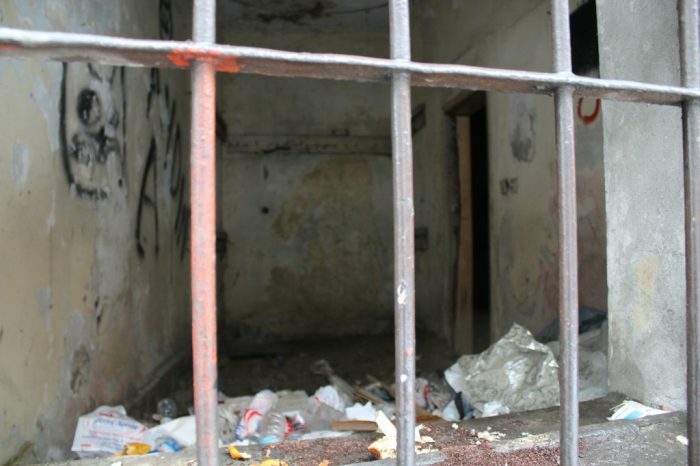 Projected into empty house in Beyoglu, Istanbul. 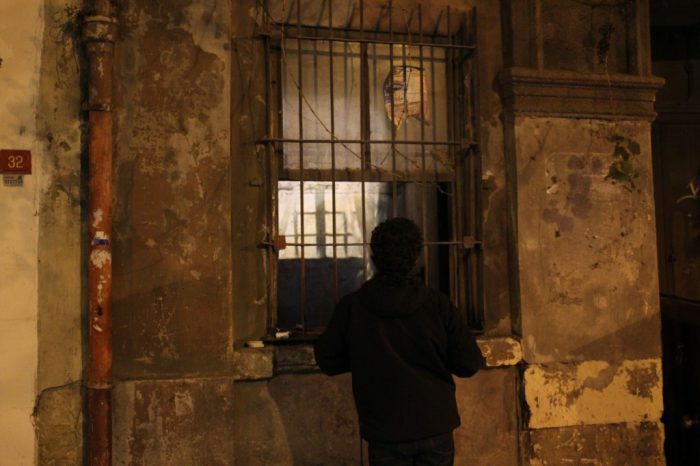 Visible from the street.